Our dental services are designed for the entire family, and we are proud to treat children as well. We make all children feel comfortable in our office and make sure that they have fun as well! 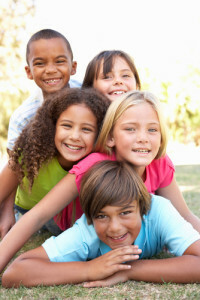 We offer a comprehensive set of Dentistry for Children services specifically for kids. Why not come to our office where you and your child can receive dental treatment at the same time?? Are your teens tired of going to see a pediatric dentist? Are they ready for a more “grown up” dental experience? We are just the place for them. They don’t have to be treated in rooms with trains, balloons or stuffed animals at our practice. We will treat them like adults, while still making sure you (the parents) are involved in their dental care.